Cynthia Lord is the award-winning author of RULES, a Newbery Honor and Schneider Family Book Award winner, as well as the critically acclaimed HALF A CHANCE and TOUCH BLUE. 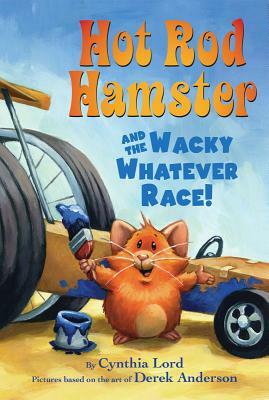 She made her picture book debut with HOT ROD HAMSTER, which won several awards including the Parents' Choice Award, and followed it with the beloved sequel HAPPY BIRTHDAY, HAMSTER. She lives in Maine with her family. Visit her at www.cynthialord.com. Derek Anderson is the NEW YORK TIMES bestselling illustrator of the Little Quack series by Lauren Thompson as well as HOT ROD HAMSTER and HAPPY BIRTHDAY, HAMSTER by Cynthia Lord. His original picture book, STORY COUNTY: HERE WE COME!, published in January 2011, was also very well-received. He writes and paints in Minneapolis, Minnesota. Visit him at www.DerekAnderson.net.